If you’ve ever had pretentious fantasies of your very own butler waking you up each morning your dreams are about to be realised without the need of a billionaire bank balance. The Voco clock may look like a regular clock for the mantle piece, but it’s actually a speaking alarm with the annoying posh voice of Stephen Fry. I’m delighted you have survived another night. May I add my own congratulations to the roar of the world’s approval? Thank you, Sir. I’m afraid the staff has absconded, sir. And it is my day off. I trust it will not be too onerous to make you own exquisitely sliced toast and and perfectly cooked breakfast? 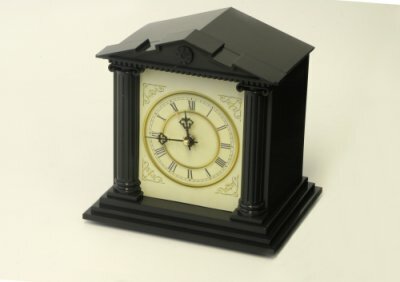 You can get the Voco clock for £25.95 (~$52 with the current crazy exchange rate) and add a bit of snobbery to your day.